At face value, pair programming appears to be a simple, straightforward concept. Two programmers work side-by-side at one computer, continuously collaborating on the same design, algorithm, code, and test. 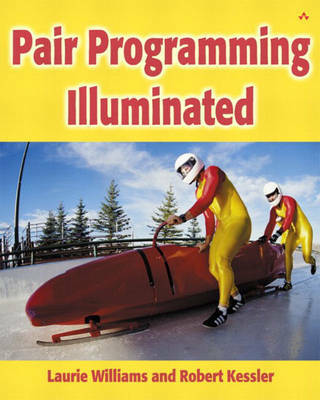 If it was as simple as plopping two skilled programmers at one desktop, there would be no need for this book. However, there are people and personalities involved, and these people are accustomed to programming alone. Pair programming offers significant benefits: quality is increased, time is saved, morale is improved, trust and teamwork grow, knowledge is shared, and learning is enhanced. However, before any pair programming can take place, participants have to accept a new way of thinking. In Pair Programming Illuminated, Laurie Williams and Robert Kessler help you fight through the exceptions, gain collective acceptance of this approach, and experience remarkable success with it. Two case studies show pair programming in practice using Extreme Programming and Collaborative Software Process as methods.